Q: What is Makers Rock? A: It’s an annual community challenge. Anyone with a YouTube channel can create a video of themselves making a Rock and Roll album cover using any material. Participants simultaneously post their video to their own YouTube channels and give them away. Every participant promotes other participants in the weeks leading up to the publish date. A private Facebook group is available to the participants and is used to coordinate this effort. This year’s publishing date is March 12, 2019. Expect YouTube to be flooded with many Makers Rock videos on this day! Promotional videos from each participant will hit YouTube March 5, 6, and 7. You’ll get to learn more about the participants and the albums they are making. All give-a-ways will end on or before April 6. Each participant will run their own give-a-way and have their own entry requirements. Here are playlists that contain each Makers Rock build video from previous years: 2016, 2017, & 2018. The current year’s playlist is here: 2019. 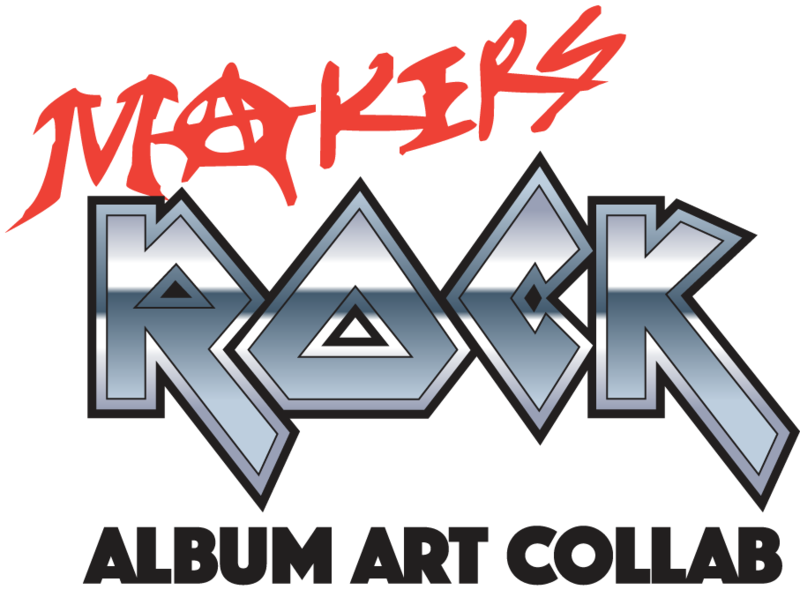 Details about the 2020 Makers Rock Album Art Collaboration will be available on this site in May 2019.